1- تحرير الفيديو وتحرير الصوت. 2- إنتاج الأفلام أو الكليبات والدروس التدريبية. 3- إلغاء اهتزازات الفيديو وإضافة تأثيرات ثلاثية الأبعاد. 4- توفير أنماط متعددة للنصوص بالإضافة إلى تأثيرات حركة متعددة. 5- إمكانية الدمج بين المقاطع الصوتية والفيديو بسهولة. ملاحظة ينصح بمشاهدة الفيديو - الرابط في أسفل المقال. ملاحظة رابط التحميل في اسفل المقال. 1- قم باستخراج الملفات من الملف المضغوط التي قمت بتحميله. 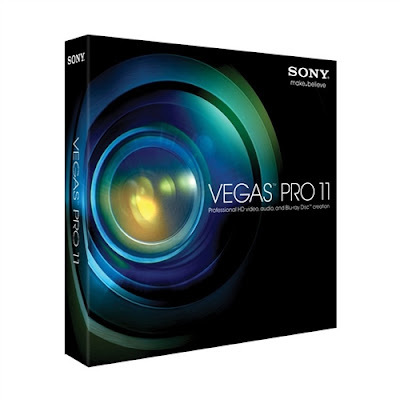 3- افتح الملف اسمه "Vegas PRO 11". 4- اختر اللغة ثم التالي "NEXT". 5- ثم اضغط على "I have read ... " ثم التالي. 6- ننتظر حلى ينتهي ثم ننقر على "finish". 1- افتح ملف crack من خلال الضغط على الزر اليمين ثم التشغيل كمسؤول "run as admin". 1. Video editing and audio editing. 2. Production of films or clips and training courses. 3. The cancellation of video vibrations and the addition of three-dimensional effects. 4. Providing multiple text styles as well as multiple animation effects. 5. The possibility of combining audio and video clips easily. Note It is recommended to watch the video-link at the bottom of the article. Note the download link at the bottom of the article. 1-Extract the files from the compressed file that you downloaded. 3. Open the file named "Vegas PRO 11". 4. Select the language and then next "next". 5-then press "I have read... "Then next. 6. We wait for the costume to end and then click Finish. 1. Open the crack file by pressing the right button and then running as administrator "run as admin". Same as previous activation steps.